Thanks to this blog, Facebook and Twitter I have had the fortune of being able to communicate with so many wonderful people in America who, although we’ve never met, I consider my extended friends. It’s to all of you who I dedicate this post to and wish you the happiest of Thanksgivings. These little parcels are quite delicious. 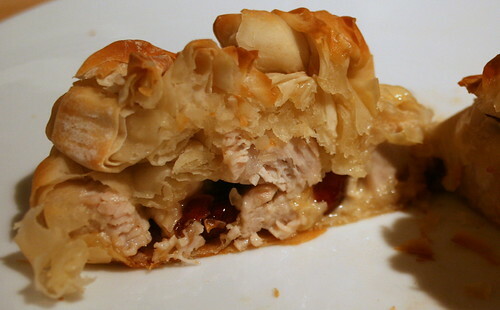 The crispy, flaky filo pastry gives way to reveal an unctuous, gooey turkey filling with sweet, plump cranberries and a mild cheese taste. Perfect for a Thanksgiving celebration. Heat a little olive oil in a pan over a medium heat. Add the turkey and fry it until completely cooked through then remove it from the pan and set it aside. Add the shallot to the pan and sauté it for a few minutes then add the turkey back to the pan along with the cream, cheese and cranberries. Season the mixture well and simmer it, stirring, until it turns thick and gooey then turn off the heat. Lay out a sheet of filo pastry and brush it with the melted butter then lay a second sheet on top. Repeat with a third sheet then put a quarter of the turkey mixture into the centre of the pastry. 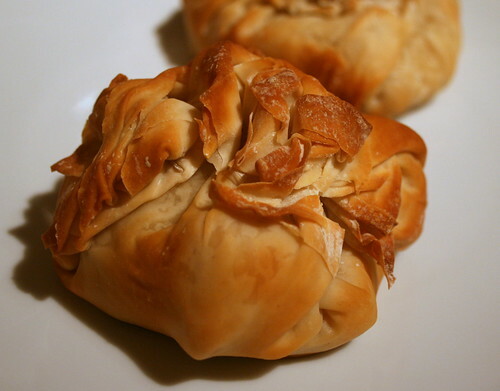 Pull up the edges of the pastry into the centre and press them together to form a sealed parcel. Brush the top of the pastry with a little more of the melted butter. Repeat for another 3 parcels. Carefully place the parcels onto a baking tray then cook them for about 20 minutes, until golden brown. 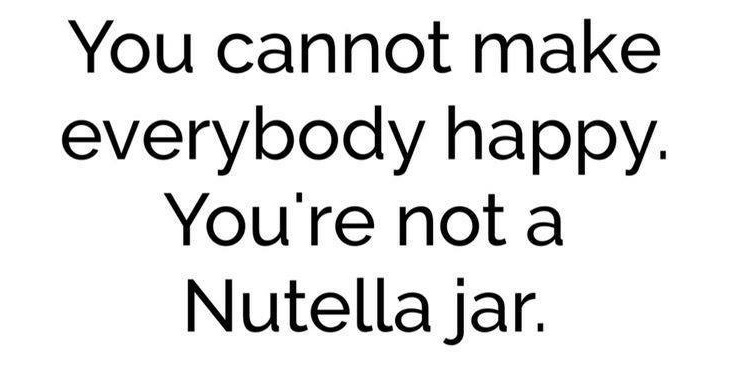 Thanks to my friend Vanessa for the inspiration. I might cook those Monday night for tea with the leftover turkey from our Sunday Thanksgiving lunch! Awww these look truly amazing!! these look great a good way to use up leftovers! my best friend lives in NYC and she's going to do a guest blog about her thanksgiving for me. I agree with you – any occasion based around food is worth celebrating, where ever you live! mmm tasty little bites there. Yes, I know what you mean about making lots of friends in the US through blogging. It really breaks down the boundaries of our little planet. Chow and Chatter – yes, they'd be perfect for leftovers! Looks like a great choice for my next office pot luck! Thanks for sharing; I hope you don't mind, but I also posted your link on my site, http://explodingpotatoes.wordpress.com/. Love your writing and the photos, as well! Doug – thank you, I shall add your site to my list! What a fantastic idea! These packets look like the perfect answer to the big "what next" question. So many left-overs, so little … you get the idea. Thank you for this beautiful recipe. Wow, this looks delicious!! Just came across your blog, and I love it! Congrats on your manuscript being accepted; the whole process has to be exciting!! I added your link to my site, http://www.i-likepie.com! Look forward to reading more posts!